West Ham extended their recent record to three consecutive victories in the Premier League on Saturday, coming from behind to beat Crystal Palace 3-2. The Hammers trailed at the interval after James McArthur opened the scoring early on but Robert Snodgrass levelled the scores moments after the restart, with Javier Hernandez and Felipe Anderson on hand to fire Manuel Pellegrini’s side into the lead before Jeffrey Schlupp pulled one back. It had been a slow start to the season for the east London side, who were handed a very difficult schedule of fixtures for the first few months of the 2018-19 campaign, but a feel-good atmosphere has been restored by the recent improvement in form. 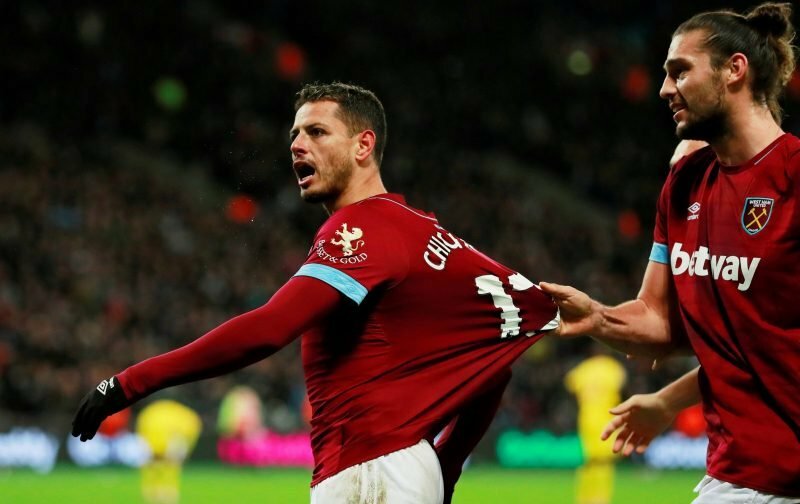 Many players caught the eye in the victory against the Eagles but individual praise was saved for Andy Carroll, who entered the game as a second-half substitute and presented West Ham with a different threat in the final third. We have gathered some of the comments on Carroll’s cameo display below. WHAT A GAME!! Poor 1st half, one to forget! Brilliant 2nd half! Snodgrass, Hernadez and Anderson just awesome goals! Carroll looked awkward for Palace when he came on. Rice superb. Wow. I’m so happy. The first half was awful but Carroll changed that game, a massive boost just went in to everyone and for the second game in a row, we have massively improved in the second half. @whufc_news Andy Carroll makes such a difference when he plays. The ball actually stays in he half we win free kicks around the box and have someone to play off of. I hope so much he stays fit.